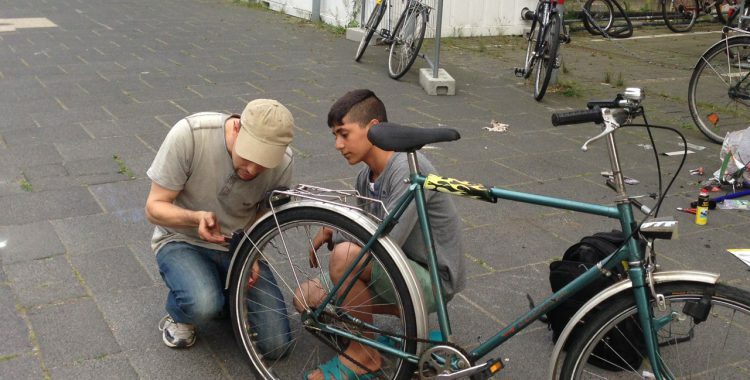 News from the Bicycle Workshop – THFwelcome e.V. On Thursday, the Kurdish boy Bengin came to visit us. 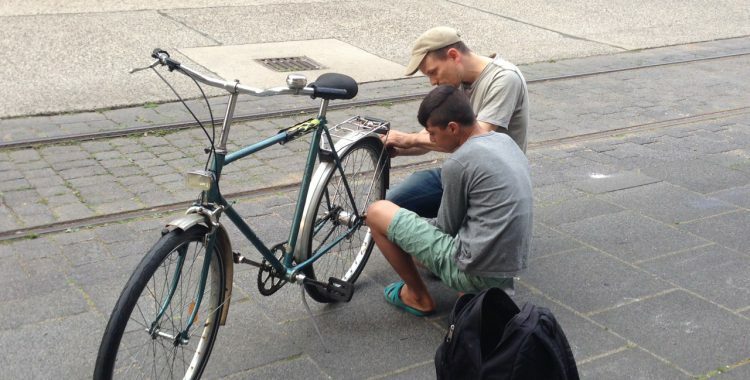 I gave him a new bicycle and helped him to remedy all its defects: The dynamo machine didn’t work, the front brake squeaked, the tires were old and brittle and on top of everything Bengin had no bike lock. After a long day – we got everything done. Together, we made it!